A fan site for ALL collectors, run by dedicated collectors!!! Of all the hundreds of thousands of websites in the world, this is one of them. This website could be great, if only I gave a damn! myBTBdb.com is simply the best. Please tell my family I love them. Stop pointing that thing at me! This website is fantastic, truly the finest website ever made. Oh? myBTBdb.com? Never heard of it! Please stop sending me e-mails! I don't know who you are, or what you want. Create a database of all the bears in your collection. Make a list of bears you want to add to your collection. Make a list of bears you have for trade or sale. Earn 'medals' based on your collection size, quality and rarity. Rate & comment on all the bears in the database. Upload photos of your bears and collection, and have them commented on & rated. Find members that have the bear that you want, and organize a trade or sale with them. And much more! So what are you waiting for? Signup now and start your BTBdb! This weeks video sees the introduction to the BRAND NEW Figurine Focus series, in this series we'll be showcasing one bear per video, giving you close up shots and whimsical information that my be of no interest to you. Nevertheless i hope you enjoy it, if not just for the little blooper at the end. So a few weeks ago saw MyBTBDB TV's first competition. 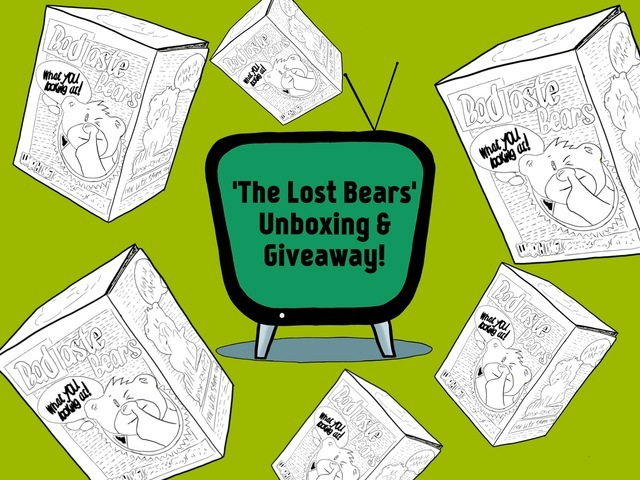 It was supremely simple to enter and win a set of 'The Lost Bears'. For those who entered winners have now been announced, to find out if you're a winner head on over to our YouTube channel, or simply click the image below and it'll take you straight there. We hope you're enjoying the channel, stay tuned for more content very soon! Another video hit the YouTube channel this week, and you'd be mad to miss it. You have the oppurtunity to win 6 of the 'Lost Bears'. All you have to do to enter is Like the video, Comment on the video and Subscribe to the channel to enter the competition. it's that easy. Uk residents only. Competition closes midnight on 9.5.16.